Rigidity, muscle tremors, poor balance and other symptoms of brain disorder are part of Parkinson’s Disease (PD). Medical treatments include drugs, brain surgery, and brain stimulation may temporarily control symptoms but neither stop nor reverse the progressive degeneration. More Parkinson’s sufferers are turning to chiropractic. In one case history, a 53 year old man with Parkinson’s Disease had rigidity in his left leg, body tremors, slurring of speech and memory loss. The patient recalled trauma before the onset of the disorder. After 3 months of chiropractic care an improvement of 43% was noted. He continued care with greater improvements in strength, energy, and muscle and joint flexibility. One study revealed that PD patients “improve dramatically after one or two chiropractic adjustments. After 10 PD patients age 47-76 were given 3 months chiropractic care, eight had dramatic improvements which included increase in energy level and/or sleep and decrease in spinal pain and/or rigidity. Multiple Sclerosis, a once rare condition, has become the “polio” of the 21st century. It is the foremost disabling disease in the United States and is increasing worldwide. MS sufferers often report trauma to the head, neck, and upper back prior to the development of symptoms. Trauma can affect the blood-brain barrier which is known to be involved in the genesis of Multiple Sclerosis. Chiropractors have often reported excellent results with MS patients. Below is a small sampling of studies. A 47 year old female first experienced MS symptoms at age 44. She developed cognitive problems and loss of bladder control, leg weakness and paresthias in her arms and legs. After four months of care all MS symptoms were absent. A follow-up MRI showed no new lesions as well as a reduction in intensity of the original lesions. At two years follow up all MS symptoms remained absent. Five MS patients (ages 35-55) had all experienced head or neck trauma prior to the onset of their symptoms. Not surprisingly, subluxations in the upper cervical spine were found in all five. Four patients reported complete, and one reported near complete, remission of MS under care. Cases include a 46 year old woman who had memory and cognitive problems, frequent urination, loss of bladder control, and painful tingling in her arms and legs. After 2 months of care her bladder control returned and sensitivity and strength in her extremities returned to normal. By 4 months all MS symptoms disappeared. Every MS sufferer should visit a doctor of chiropractic to ensure their body is free from subluxations. It may make the difference between sickness and health and even between life and death. Do you know anyone suffering from fibromyalgia? Unbeknownst to many people, this debilitating condition can be well managed by chiropractic. Imagine being tired all the time with burning pain, muscle spasm and tender “trigger” points. Add to that the sensitivity to pain, heat, cold, bright lights, plus bowel/bladder problems, headaches, sleeplessness and/or anxiety. These are the symptoms of fibromyalgia. Anti-inflammatory drugs, painkillers, antidepressants, physical therapy, counseling, and support groups have poor records in helping sufferers. However, acupuncture, relaxation techniques, meditation and nutritional therapy have more encouraging results. Spinal trauma has long been associated with fibromyalgia. In one study, a neck injury increased the occurrence of fibromyalgia by ten times! That is one reason why fibromyalgia sufferers report good results with chiropractic. For example, in one study all 23 fibromyalgia sufferers (ages 11-76) showed 92-100% improvement and maintained their improvements after one year follow-up with chiropractic care. In another study of 15 women, 60% reported at least a 50% reduction in their pain, less fatigue, and improved sleep quality with chiropractic. Anyone suffering from fibromyalgia in Portland or anywhere else should see a chiropractor for a spinal check up. It may make the difference between continued illness and recovery, between a life of pain and a life of ease. You won’t find this tunnel on the map! 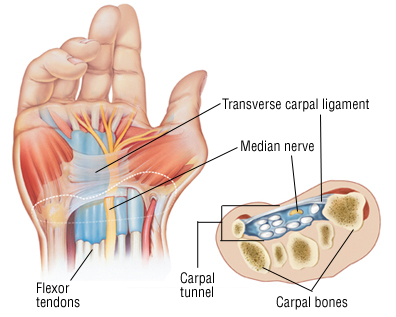 Carpal tunnel is the name given to a condition that affects your wrist and hands. The nerves going through this structure inside your wrist can be irritated from injury or overuse. This can cause lots of problems such as pain, tingling, numbness, and weakness of the fingers, hands, and wrist. Sometimes the pain is so intense it wakes people up at night. One out of every ten people suffers from Carpal Tunnel Syndrome (CTS), usually affecting domestic workers, secretaries, computer users, construction workers, electricians, musicians, and others who do repetitive tasks with their hands. Many people in Portland, especially those in the tech industry, are most likely to suffer. Traditional medical treatment for CTS includes splints, ice, drugs, cortisone injections, and even surgery. Drugs and surgery’s poor success rate in treating this painful condition led Robert Mendehlson, MD to conclude: “Since the medical treatment for this condition is so often unsatisfactory, I have for years been recommending that my patients consult muscle and joint therapy specialists.” A chiropractor fits the bill! The relationship between spinal health and carpal tunnel has been documented by researchers who found spinal nerve root irritation in patients who had carpal tunnel or ulnar neuropathy. Others have found that nerve compression in the neck can block the flow of nutrients to the nerves in the wrist, making it more susceptible to injury. This is often referred to as “double-crush” syndrome. Not surprisingly, when 1,000 cases of carpal tunnel syndrome were investigated, it was found that a large number of those suffering from CTS also had neck arthritis. In light of what’s known about CTS, anyone suffering from it should see a chiropractor to ensure that their spine is free of spinal subluxations. A chiropractic spinal adjustment may be the difference between a pain-free wrist or surgery. 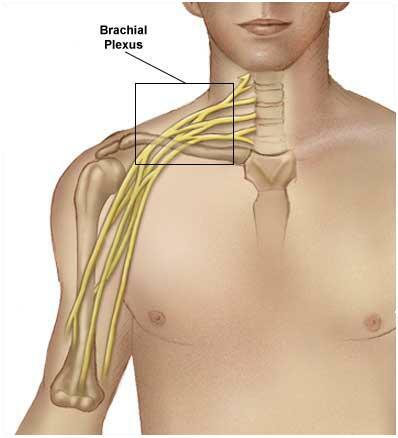 The Brachial Plexus is a nerve in your upper body that when impinged can cause pain and numbness to your arms and hands. Chiropractors correct vertebral subluxations which cause spinal nerve stress. Depending on which nerves are affected you may experience pain, tingling, tightness, weakness, pins-and-needles, or other symptoms in these body parts. Your brachial plexus is made up of nerves which come out of the miffle and lower neck and upper back and branch off to supply different areas of the body, especially the shoulders, arms, elbows, wrists, hands, and fingers. Many things can cause one of these nerves becomes impinged or “pinched,” some including long standing spinal stress, old injuries from childhood, new injuries from sports mishaps, car accidents (especially whiplash), arthritis, sleeping in awkward positions, and even chronic emotional tension. What are the results of brachial plexus injury? Depending on which nerves are involved, different problems may be experienced. There may be neck stiffness or pain that may radiate to your shoulder and elbow and down to your arm, wrist, hand, or fingers. Sometimes there’s clicking or extremity pain but not neck pain. Sometimes there;s no pain but numbness or feelings of heat, cold, or swelling; or pain in one area and numbness in another; or pins-and-needles, muscle weakness, or spasm. Due to the complicated way nerves interrelate, conditions such as headache, migraine, facial pain, dizziness, limited or painful or stiff motion of the head and neck, throat conditions, thyroid, nasal problems, low back pain, and even epilepsy can be caused by brachial plexus damage. Chiropractic care is essential for anyone with shoulder, arm, elbow, and hand problems to relieve nerve stress and permit the spine, as well as the rest of the body to function normally. Do you know anyone in the Portland area that is suffering from sciatica or any other type of pain? Try chiropractic! 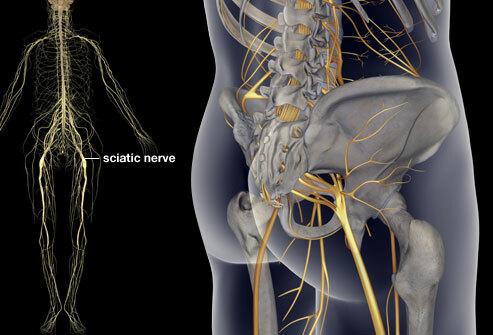 The sciatic nerve is the longest and largest in your body. When it is inflamed, the condition is called sciatica. Not all leg pain is sciatica, but most all sciatica involves leg pain. Sciatica sufferers often have severe pain along the sciatic nerve path, usually in the back of the legs and thighs, although sometimes the pain may also be felt in the ankle, foot, and toes. Occasionally pain is felt in the front or side of the legs, in the hips, or for some hapless sufferers, in both legs. Apart from pain, paresthesia, or pins and needles, burning, tingling, prickling, crawling sensations, or tenderness may be felt. Ironically the painful leg might feel numb as well! Sciatica can be very painful to sufferers. Sleeping, sitting, walking, bending, turning, or standing up may be difficult or impossible. Chiropractic has been beneficial to millions of sciatica and leg pain sufferers. Dramatic relief has often been observed after a single chiropractic adjustment. Chiropractic has been found to work better than traction, painkiller injections, and surgery. Chiropractic care appears to have the most profound effect on sciatica when problems first occur. However, even in those who have been through the “medical runaround,” chiropractic can provide excellent results. Back Surgery: To Cut or Not to Cut? Are you looking for an alternative to painful and expensive surgery? Portland Chiropractic Wellness Consultant Dr. Marina Zare’ can discuss pain free treatment options for you and your loved ones that are often more effective in the long term that drugs or surgery. First it is important to understand how the spine works and the causes of common conditions that require surgery. 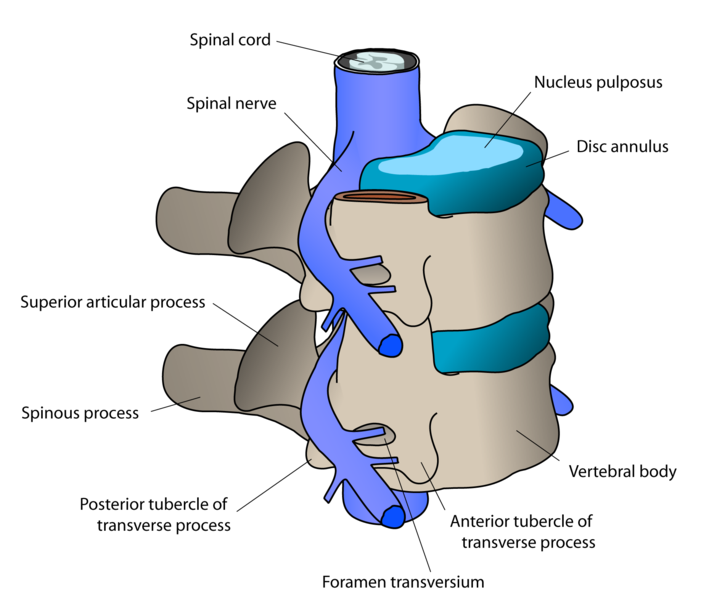 The invertebral discs are little pads that lie between your vertebrae; each disc has a tough outer ring called annular fibrosis and a soft gel-like center called nucleus pulposi. Your discs separate your vertebrae and because they’re knitted into the bones also join them together. They act like little shock absorbers, cushioning the bones so they don’t crash against each other as you walk, which would be very painful. Discs help give your spine its curve, flexibility, and strength. The 23 discs in your spine also add to the length of the spinal column. You are about 1/4 to 1/2 inch taller in the morning than you were the night before. Why? Because your discs flatten out a little after a day of standing and then regain their volume while you sleep. Astronauts are reported to grow as much as 1 3/4 inches during space life. Without the stress of gravity, the discs expand even more than usual. Seeing your chiropractor regularly can help you grow taller also! There are two types of herniations: protrusions and prolapses. A protrusion can occur if the nucleus proposi bulges, pushing the annular fibrosis out of shape. A prolapse occurs if the nucleus bulges out so much that is actually separates from the rest of the disc. If the prolapsed disc goes into the spinal cord or puts pressure on nerves, it may cause severe pain that could make sitting, standing, lifting, sneezing, coughing, and moving nearly impossible. In extreme cases, foot or leg numbness or a loss of muscle control may occur. However, only a small number of those with low back pain have serious problems. While spinal surgery is occasionally necessary, especially in cases of trauma or severe bone, disc, and nerve destruction, the vast majority of people with low back pain and/or sciatica never need it. Of the thousands of surgical procedures done each year for ruptured discs, medical authorities admit that a large number are unnecessary and useless, with many of those who have back surgery in the same or worse pain after the operation. To make matters worse, if surgery is ineffective the first time, a second or third operation often does not help. Even successful operations could cause scar tissue, permanent spinal weakness, distortion, and instability. Chiropractic could save many thousands of back pain sufferers from unnecessary spinal surgery each year. Anyone with disc problems, especially if they are facing the prospect of spinal surgery should, if possible, get at least a second opinion from a doctor of chiropractic before deciding on further care. In a majority of cases chiropractic can help prevent back surgery. After a surgery, patients should also visit the chiropractor as up to half of those who receive spinal surgery discover a return of their original symptoms months or years later. They then face the prospect of additional surgery. This too-common occurrence is known as Failed Back Surgery Syndrome. Chiropractic may help prevent repeated operations. One of the treatment options patients have here at our clinic is Bio Energetic Synchronization Technique or B.E.S.T. which is rapidly becoming the modality of choice for many patients who wish to see better and faster results in their treatment. As one doctor put it, B.E.S.T. is a gentle method of working with your body and not against it. Bio-Energetic Synchronization Technique, or B.E.S.T., was developed during 40 years ago by a chiropractor by the name of Milton T. Morter Jr. of Rogers, Arkansas. Dr. Morter developed this technique to handle many symptoms of emotional trauma and stress that store themselves biochemically in our body. B.E.S.T. helps us look at health as a picture bigger than symptoms or body parts. When your nervous system is out of balance, your whole body is out of balance. With the BEST method, a practitioner applies gentle touch to nerve points on the body. This releases tension in the muscles, relaxing you the patient and allows your bones and muscles to move back into place where they belong. This takes pressure off of your nerves, increases your circulation and stops pain. There are patients who may require more traditional chiropractic adjustments, but most respond to the B.E.S.T. treatment very quickly. B.E.S.T. is especially helpful to patients who experience depression, anxiety, Obsessive Compulsive Disorder, and Post Traumatic Stress Disorder. We all eat. Generally, we eat several times a day – meals and snacks. In our society of abundance, food is ever present. Food does more than sustain life – it greases the wheels of social harmony. From morning business breakfasts to evening barbecues with friends, when two or more are gathered together, food is featured. For the most part, our food choices are based on habits, culture, what we like, what we are accustomed to eating, and what we expect the food to do, or not do, for us or to us. In theU.S., there is a lot of talk about the health hazards associated with eating copious quantities of fatty foods. The current popular trend in diet is toward eating more fruits and vegetables. The rationale for this trend is vegetables and fruits provide needed vitamins and minerals without undesirable fat. Those whose diets are fruit- and vegetable-centered seem to have fewer incidents of cardiovascular disease and other physical maladies than those whose diets are meat-centered or high in fat. Research has shown the real reason vegetable consumers fare better in the health department than the heavy meat eaters goes far beyond the plugged-artery rationale. Dietary fat and cholesterol in moderation pose little threat to health. Our body needs both, is designed to handle both, and produces both. Our body produces its own cholesterol and, to the chagrin of many, converts excess energy-source glucose into fat. The health threat lies not so much in the fat and cholesterol in the food we eat but in the fat and cholesterol carriers – high protein foods such as meat. This is quite a departure from traditional thinking. We have been conditioned to “Get plenty of protein; it builds muscles – you can’t get too much protein!” Now, we’ll not argue the “protein builds muscle” point here. When the realization of how our body must respond to the by-products of protein, it becomes obvious why excess dietary protein is the health-inhibiting culprit rather than the cholesterol and fat. Keep in mind we’re referring to excess protein – excess according to your body’s needs, not according to the USRDA. The amount of protein recommended for adults 19 to 51+ years old ranges from 25 grams to 40 grams per day. The wide range in the recommended amounts reflects the lower protein needs of older females and the higher needs of younger males. In the government’s current effort to make nutrition requirements more user-friendly, the 25 to 40 grams of protein translate to 12 to 15 percent of daily calories. We believe no matter how you phrase it, that’s too much protein. Half that amount would be more appropriate from your body’s point of view. There are two internal conditions behind disease: excess acid and inappropriate timing. In future articles, we will delve into inappropriate timing, however, for our purposes here we’re into the “meat” of the toxicity story. Our body becomes toxic when it is too acidic. Too much dietary protein is the foundation of acidosis toxicity. Our body MUST keep its internal environment slightly alkaline in order to survive. The problem with high-protein food is it leaves an acid residue – acid ash. These leavings must be eliminated. Unlike the acid produced from exercise, the acid from acid ash-producing foods, such as meat, can’t be eliminated through the lungs. It must be neutralized, processed through the kidneys, and eliminated. The process of neutralizing uses essential alkaline minerals from your store of neutralizing minerals. These are the alkaline reserve. However, as anyone who has dipped into a savings account knows, even a reserve has a limit. When you take out all that’s been put in without replacing the withdrawals, the reserve is gone. High protein foods are long on protein and short on alkalizing minerals. If you eat mostly high-protein foods, you use more neutralizing minerals than you replace. If this pattern continues for long periods, eventually your alkaline reserve will dwindle. If more minerals aren’t replaced, ultimately your reserve will be depleted. A slightly alkaline internal environment is essential to life and health. The good news is that these minerals can be replaced. Vegetables and fruits replenish the supply of minerals our body needs to process moderate amounts of dietary acid. When we eat mostly vegetables and fruits, we get enough neutralizing minerals in our diet to replenish your alkaline reserve. A well-stocked alkaline reserve means a favorable climate inside the body – a favorable internal environment. Chiropractic can give your athletic endeavors an edge. That’s why you’ll find chiropractors as “team doctors” for professional, college, high school, junior high, and elementary school football, basketball, baseball, ice hockey, rugby, and soccer teams. Chiropractors help keep athletes on the field and help stop minor injuries from becoming major ones without the use of drugs or surgery. A survey among National Football League trainers found that 77% refer players to chiropractors and 31% of NFL teams have a chiropractor officially on staff. Many amateur and professional athletes wouldn’t dream of competing without first getting a chiropractic spinal checkup. How about you? 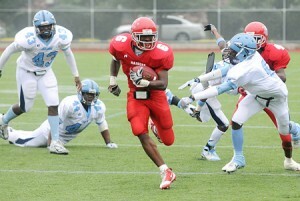 Want that winning edge? A little more balance? A little more lightness in your step? Try a chiropractic “shaping up” adjustment of the spine. Sports injuries nearly always jar and misalign the spinal column: a blow to the ribs, legs, feet, head, shoulder, or torso always radiates to the center of the body-that’s why a chiropractic check-up is needed when you are injured, regardless of the nature of the injury. Chiropractic is needed, in fact, even when medical procedures may also be necessary. Why? If an injury is serious enough to need medical care, the spine and body alignment is almost always damaged. Further, medical doctors are simply not trained to locate and correct spinal subluxations-that is the realm of the doctor of chiropractic. Secret #1 – Sick care is not health care. You must know the difference. Secret #2 – Pain, although unpleasant to experience, is a necessary biological process for survival and alerts us to the fact that something has changed. Secret #3 – The nervous system is the master system of our body controlling all perceptions and functions. We live our lives through our nervous systems. Secret #4 – Vertebral subluxations are a sign of interference to the nervous system and a primary focus of chiropractors. They can disturb the function of various systems of the body, reduce health status and uncorrected can lead to a serious decline in health. Secret #5 – Lifestyle stress in 3 dimensions (physical, biochemical and psychological) causes negative effects on our nervous systems and cause vertebral subluxation. Secret #6 – The chiropractic vision is to monitor the nervous system with our Insight technology – certified by the Space Foundation, adjust the spine to release patterns of subluxation when we find them, and make recommendations for better lifestyle choices so that you can reduce subluxation and nervous system stress. In addition, we have a passion to educate our patients and community to the unique benefits of chiropractic care so they may lead healthier, more fulfilling lives. Secret #7 – The key to success in regaining your health and/or living a healthy, age-defying life is for you to take responsibility for your health and well-being and not leave it in the hands of 3rd parties like insurance companies who don’t have your best and individual interests at heart. Are Chiropractors RDs ( Real Doctors)?? ?